South Africa, 1976. The police ruled Gordon Ngubene’s death a suicide. 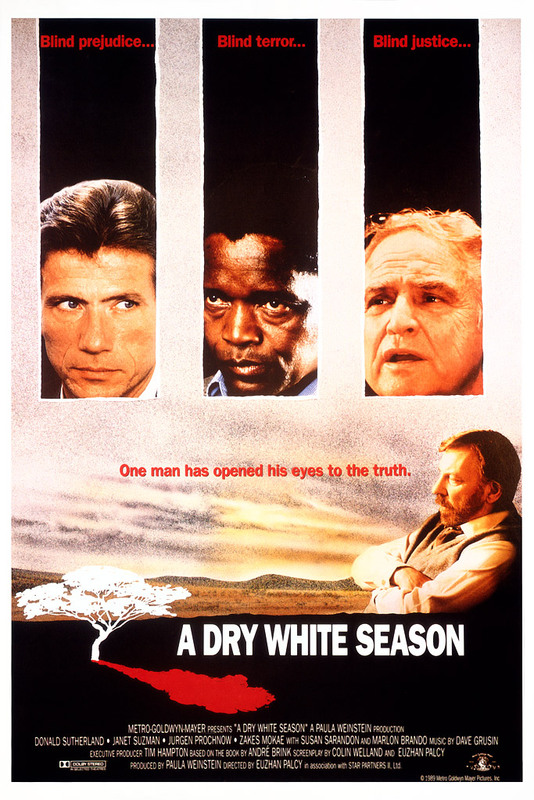 But when Afrikaans school teacher Ben du Toit (Donald Sutherland, "The Rosary Murders") saw the body, he knew his friend of 15 years was the victim of police torture. Seeking justice, Ben hires barrister Ian McKenzie (Marlon Brando, "Last Tango in Paris") to represent the Ngubene family at the inquest, but the judge ignores the evidence and exonerates the police. Refusing to “give it up,” Ben risks his family and career as he takes on a system run by racists, thugs and murderers. For if you’re not with the Afrikaners, you’re against them. And choosing the wrong side could get you killed. The cast includes Susan Sarandon ("Thelma & Louise") and Jurgen Prochnow who delivers an electrifying performance. Directed by Euzhan Palcy ("The Killing Yard").